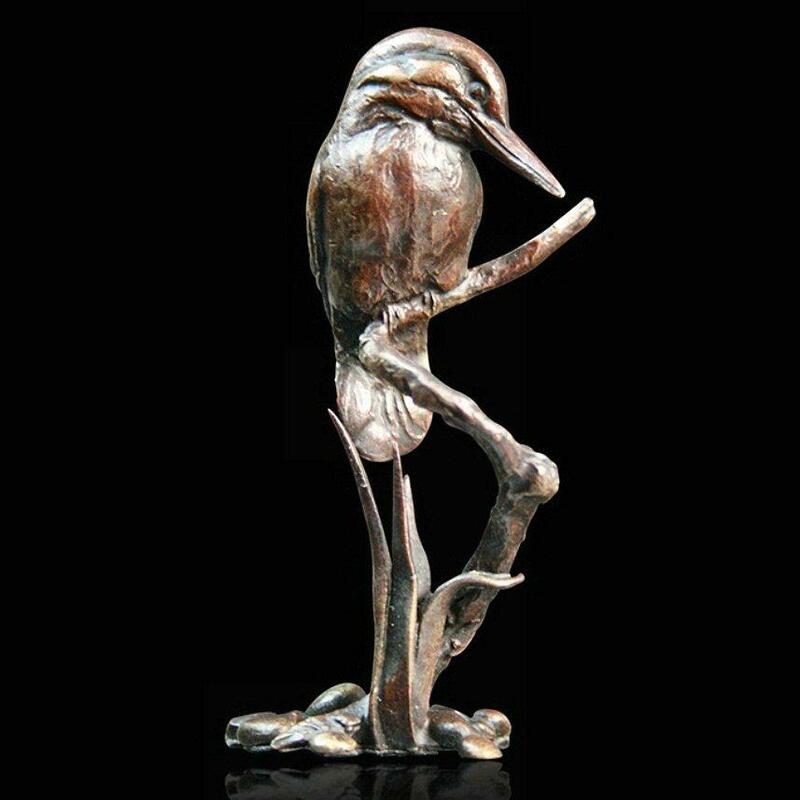 Bronze sculpture of a Kingfisher by master sculptor Michael Simpson. The Kingfisher sits patiently by the riverside waiting for a fish to pass by. This beautifully crafted solid bronze, limited edition sculpture would be the perfect gift for any lover of these colourful river hunters.